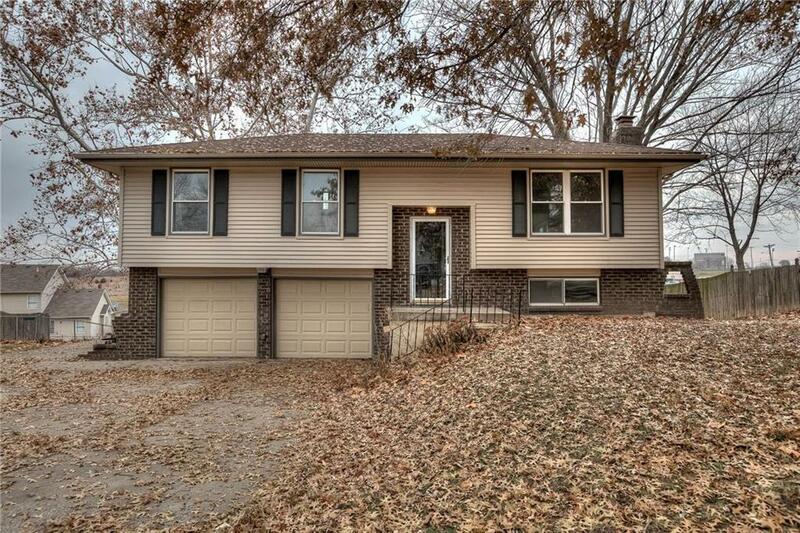 Darling Split Entry in Wornall Heights! This open concept floorplan has so much to offer! New paint and flooring throughout. The Kitchen features all new appliances and opens up to a light and airy breakfast room. The lower level offers a large Rec Room with a wet-bar, perfect for entertaining. The extended driveway is great for additional parking and there is a 3rd garage for storing lawn equipment. Directions: US-69 N, Left onto Schwarz St, Left onto Southside Ct, Right onto Lodwick Ln, Right onto Karlton Way, Left to Zay Dr, Home is on the Right.